Looking for IBM 4543 Infoprint 1540, 1560, and 1580 Parts? The IBM 4543 Infoprint 1540, 1560, and 1580 MFPs are all-in-one multifunction printers (MFP) that provide print, copy, scan, and fax functions. The Infoprint 1540 MFP includes a 35 page-per-minute(ppm)(1) monochrome laser printer. 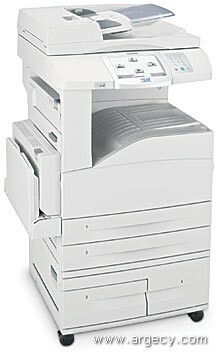 The Infoprint1560 MFP includes a 45 ppm, monochrome laser printer. 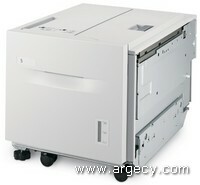 The Infoprint 1580 MFP includes a 55 ppmmonochrome laser printer. The Infoprint 1540, 1560, and 1580 include a 55 sides-per-minute color capable scanner(2) with duplex and A3/tabloid media support designed to keep up with the demands of small and medium-size workgroups. 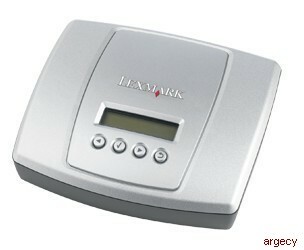 Note: (2) Exact scan speed varies depending on document attributes, system configuration, and user-selected settings. The IBM 4543 Infoprint 1540 MFP Model 001 comes with a 625 MHz Freescale processor, greater than 20 GB hard drive, 256 MB of memory, duplex, 10/100Base TX Ethernet, parallel, USB ports, and prints 35 pages per mimute. The IBM 4543 Infoprint 1540 MFP Model 101 comes with a 625 MHz Freescale processor, greater than 20 GB hard drive, 256 MB of memory, duplex, 10/100Base TX Ethernet, parallel, USB ports, and prints 45 pages per minute. The IBM 4543 Infoprint 1540 MFP Model 201 comes with a 625 MHz Freescale processor, greater than 20 GB hard drive, 256 MB of memory, duplex, 10/100Base TX Ethernet, parallel, USB ports, and prints 55 pages per minute. IBM Infoprint 1540, 1560, and 1580 MFPs are all-in-one multifunction Printers (MFPs) that provide print, copy, scan, and fax functions. All MFPs come with a 625 MHz Freescale processor, a greater than 20 GB hard drive, 256 MB of memory standard, and duplex standard. Maximum memory is 768 MB. All MFPs come with a 10/100Base TX Ethernet, parallel, and USB ports standard. All models come with two 500-sheet drawers and a dual 2,000-sheet drawer for 3,100-sheet input capacity and 500-sheet output capacity as standard. Maximum input capacity is 5,100-sheets and 3,800-sheets maximum output capacity. Hard drive encryption and "wiping"
Note: IBM does not recommend printing to these monthly maximums on a consistent basis. The Toner Darkness setting offers 10 user-selectable settings to balance print darkness and toner savings. The higher the setting, the darker the print. Within the range of print darkness settings, up to 50% toner savings can be realized from the factory default setting of 8. The toner darkness setting is available through the operator panel under the Quality menu and also accessible from the print driver. This product may connect to a Public Telecommunications Network, as such by country regulations and laws this product may require Telecommunications Approval through country Telecommunications Authority prior to sale. The fonts in the PCL emulation are compatible with the fonts in the HP LaserJet 4550 and include nine additional fonts and many extra symbol sets to support extra languages and applications. Included in the PCL emulation are OCR-A, OCR-B and Code 3 of 9 barcode fonts. The fonts in the PostScript emulation are compatible with all 136 fonts in Adobe PostScript 3 and include 22 additional fonts. Additional fonts can be downloaded to the MFP RAM, optional User Flash cards or Hard Drive. The PCL emulation supports both scalable and bitmapped downloadable fonts. The PostScript emulation supports only downloadable scalable fonts. Included on the CD-ROM shipped with the MFP are screen fonts to match the MFP's resident scalable fonts. The CD-ROM also includes a variety of downloadable fonts for Hebrew and Arabic. The MFP supports Unicode printing with special UTF-8 encodings in both the PCL and PostScript emulations. UTF-8 encoding is a particular way to access characters that is very useful for fonts with large character sets. UTF-8 is used by our SAP printing solution. The table below specifies throughput in pages-per-minute based on resolution and media size. For a complete range of media sizes supported, see Media Supported. Due to the Infoprint 1540, 1560, and 1580 MFP print technology, paper designed for use with xerographic copiers should provide satisfactory print quality and feed reliability. Other types of supplies may be suitable. It is recommended that users test any particular brand for suitability to their applications. Refer to the MFP User's Guide for additional media specifications. The Toner Darkness setting offers 10 user selectable settings to balance print darkness and toner savings. The higher the setting: the darker the print. Within the range of print darkness settings up to 50% toner savings can be realized from the factory default setting of 8. The Toner Darkness setting is available through the operator panel under the Quality menu and also accessible from the print driver. ADF Text/Mixed Letter StandBy/Ready <12.0 sec. Flatbed Text/Mixed Letter StandBy/Ready <10.0 sec. ADF Text/Mixed Letter PowerSaver <90.0 sec. Flatbed Text/Mixed Letter PowerSaver <90.0 sec. Note: (1) Based on ITU-T Test Chart #1 - Text Format Business Letter. The modem satisfies the requirements specified in ITU-T (CCITT) recommendations v.34 half-duplex, V.17, V.33, V.29, V.27 ter, V.21 and meets the binary signaling equirements of V.8 and T.30with annex F.
The Infoprint 1540, 1560, and 1580 MFP printable area is limited to within 4.0 mm (0http://www.argecy.com/images/39V1525.jpghttp://www.argecy.com/images/39V1525.jpg.16 in.) of top, bottom, left or right edges of the media. Any information placed outside this specified printable area will not print. Note: (1) Capacity lowered to 300 when using mixed media. Note: (1) Standard Bin capacity with Finisher installed: Up to 300 sheets. Note: (2) No Empty or Full sensing fpr Statement and A5 media sizes. Note: (3) Capacity lowered to 300 when using mixed media. 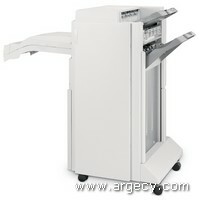 Transparencies specifically designed for xerographic copy machines or laser printers may be used with the Infoprint 1540, 1560, and 1570 MFPs. Labels should be selected using guidelines found in the User's Reference, Complete Printer Reference, and tested for acceptability. VINYL AND POLYESTER LABELS ARE NOT SUPPORTED. Only occasional paper label use is supported. 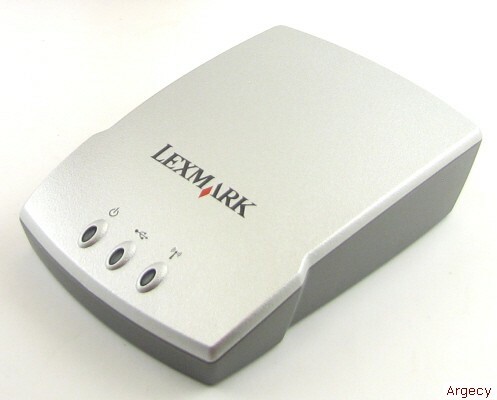 Capturing bitmap or outline fonts to hard disk or to flash memory resulting in reduced network traffic over LAN, coaxial or twinaxial connections. Product Identifier Self Defining Field Information is returned to the host with IPDS. Device type, serial number, MFP code levels and MFP name are returned to the host. These may be displayed at the host to aid in MFP location and maintenance. The IPDS emulation supports the IPDS data and resource towers. Fonts can be downloaded, captured and saved to hard disk or flash memory in the printer. The US Postal Service POSTNET bar code, PLANET barcode and the euro currency symbol are supported within IPDS. Note: (1) With OS/400 V5R2, to print IPDS over TCP/IP through PSF/400. Note: (2) All appropriate APARs must be applied. Note: (3) MFP driver support only. No support for IBM utilities. Driver must be installed using Windows Add Printer Wizard. Note: (4) Support for these operating systems only available from the IBM Web Site. Note: (5) Drivers for these operating system not provided by IBM. Note: (6) Drivers for these operating systems available from the IBM Web Site in 1st half 2006. The Windows software applications, which operate in the operating systems, listed above, are best suited to run with the drivers supplied with the printer. These drivers take advantage of advanced printer functions and increase the printer performance wherever possible. NetPnP, Software Installation and Distribution tools are provided on Drivers and Utilities CDs. NetPnP senses when a new IBM printer is attached to the network and automatically creates a shared printer object on the Windows NT 4.0 or Windows 2000 system. Furthermore, NetPnP notifies end-users via e-mail that the new network printer is available for printing. Designed for Windows NT 4.0 and Windows 2000 environments, Net PnP makes the Infoprint 1540, 1560, and 1580 MFPs available to end-users within seconds of network attachment. The IBM Script Install utility provides a very powerful method to install or uninstall MFPprinter software in Windows NT 4.0, Windows 2000, Windows XP or Windows Server 2003 environments. Through the use of the Script Install utility, System Administrators can easily perform mass rollouts of IBM printers/MFPs by creating custom scripts to perform local or remote printer/MFP software installations on end user workstations. When combined with the Driver Profiler utility, I/T shops can centrally create and deploy custom printing environments for each remote location. Together, these utilities drastically reduce the time required to install MFP software in a distributed environment. The IBM Printing Solution for Novell systems offers administrators more control over IBM printers/MFPs. This all-inclusive package provides support for both NDPS and iPrint printing systems on NetWare 5.1, 6.0 and 6.5 servers and NOES for NetWare servers. The package consists of Novell's NDPS gateway coupled with IBM's custom control snap-ins for both NetWare Administrator (NWAdmin) and iManager. By offering custom support for both NetWare Administrator and iManager management utilities, this offering allows administrators to take full control of IBM MFPs in a Novell printing environment. To maximize the user experience, IBM offers custom PCL emulation and PostScript drivers for Windows systems. Custom drivers for Windows provide the most comprehensive set of printing features available for IBM products. Offering an easy-to-use interface and time saving preset features, the IBM custom drivers allow users to access popular MFP features intuitively. System drivers for Windows provide users with basic printing capabilities for their IBM printers/MFPs. Built on Microsoft technology, system drivers mix key IBM MFP capabilities with Microsoft's rendering engine to provide a solid, no-frills driver. IBM system drivers are available in PCL emulation and PostScript versions. PostScript versions. IBM MFP/printer drivers reduce the complications of printing in UNIX and Linux environments. Built on the LPRng printing system, the IBM printer/MFP drivers provide fully scriptable command-line options. When running in X-Windows mode, IBM MFP drivers make it easy to access many popular MFP features without memorizing command line options through a GUI interface. IBM offers Mac OS printing software (PPDs, PDEs, etc.) to provide a first rate printing experience in an Apple environment. These files allow Mac OS 9 and Mac OS X users access to advanced printing features included with the IBM product. Status Window complements the driver software by providing printer status feedback from a remote location. Other utilities such as File Downloader and IP Settings Utility provide efficient means to perform targeted tasks. IBM Network TWAIN scan drivers provide remote scanning capabilities to Windows and Macintosh computers. IBM provides Network SANE drivers with remote scanning capabilities for Linux workstations. These drivers allow TWAIN (or SANE) compatible applications to acquire raw scan data directly from a networked IBM multi-function printer. NPRU will not support the Infoprint 1540, 1560, and 1580 MFPs. This utility will not support the Infoprint 1540, 1560, and 1580 MFPs. The optional feeder has 2,000-sheet capacity. The Infoprint 1540, 1560, and 1580 MFPs has one slot for memory DIMMs and two slots for flash memory cards and application solution cards. Only one flash memory card or application solution card is allowed. 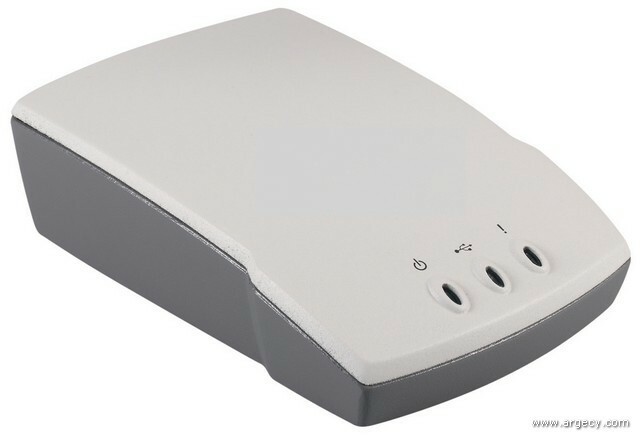 In addition to the standard USB port, standard parallel port, and standard Ethernet ports,each MFP has one slot for internal print servers, or optional local connections. 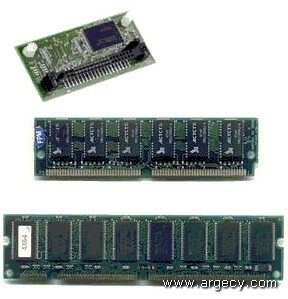 This card provides a IEEE 1284-B parallel port. 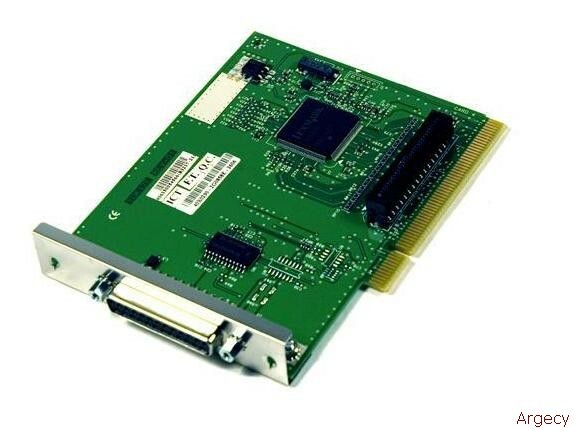 This card provides an RS-232C serial port. For USB attachment, this USB cable is recommended and may be ordered by the customer. Network cards plug into the one internal interface adapter slot. This internal Ethernet adapter supports the Gigabit Ethernet standard over CAT-5 cabling. The printer with standard Ethernet internal print servers and external print servers support a Resident Web page with Microsoft Internet Explorer 4.0 or later and Netscape Navigator 4.5 or later for Windows 95/98, Windows Me, Windows 2000 or Windows NT. The Bar Code Card Card enables the Infoprint 1540, 1560, and 1580 MFPs to print more than forty seven of the most popular industry standard bar codes, including Datamatrix, QR Code, Aztec, microPDF417, PLANET, Codablock F, ITF14, and HIBC128. The Bar Code Card card generates bar codes algorithmically for improved readability. The Bar Code Card Card emulates HP MFPsprinters with an HP BarCodes 1 More font solution, JetCAPS BarDIMM or JetCAPS BarSIMM (v. 2.0b). 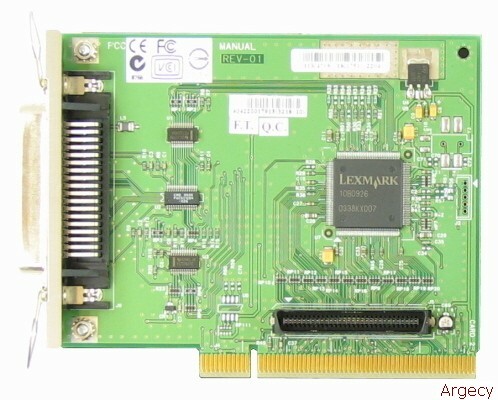 The Card for IPDS and SCS/TNe provides AFP/IPDS and SCS (LU1) data stream support for IBM servers. The Card for IPDS and SCS/TNe allows customers to print AFP/IPDS or SCS(LU1) documents over TCP/IP to LAN printers.